When did Yahushua Die, Resurrect, and Ascend? And how does it tie into the Hebrew Calendar? 40For as Jonah was in the belly of the great fish for three days and three nights, so will the Son of Man be in the heart of the earth for three days and three nights. Others have since chimed in on this subject, offering alternative viewpoints, one of the most popular of which being the Wednesday staking and burial. They say the Messiah was killed on a Wednesday (a Passover, supposedly) buried that evening and spent Wednesday night, Thursday and Thursday night, Friday and Friday night, and Saturday in the tomb, totaling three days and three nights. Some claim the high day they were preparing for was one of the feast days that fell on a Thursday, since many label everything that is not a 7th-day Sabbath a “high day.” We have already elaborated on what a high day actually is in our article, What Constitutes a Day in Scripture, which we encourage you to read if you have not done so as yet. 27"And he will make a firm covenant with the many for one week, but in the middle of the week he will put a stop to sacrifice and grain offering. . .” [emphasis mine]. Yahushua, some say, died in the “middle of the week,” as proven in this verse from Daniel. But this verse speaks of a prophetic time frame that employs the day-for-a-year rule and thus refers to a period of 7 years, in the middle of which, the Messiah would be killed. To force the interpretation of this verse into a literal 7-day time frame breaks the prophetic rule of the passage, and the entire meaning is lost. But that is not the only hole in this plot. For one thing, we know that high days refer to Sabbaths that are longer than usual, due to another day or evening’s event being tied to it, hence the meaning of the Greek word that “high” is derived from. And, as we have stated elsewhere, there are only two official high days on record. The high day of John 19:31 refers to one of two events. We have provided a Hebrew Israelite Calendar for download in the sidebar, and on that calendar, you will see an interesting placement for the Passover observance; a placement that never changes from year to year, since Yah’s calendar is fixed, with days never floating. 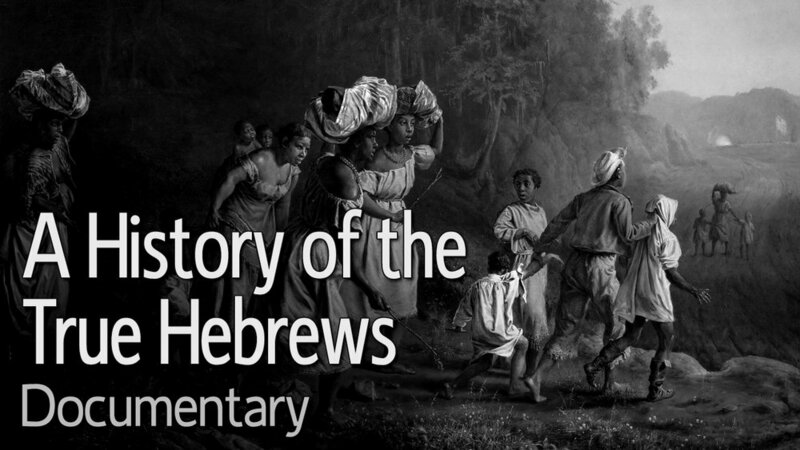 Watch our video, The Hebrew Calendar for more on that important subject. It can be accessed from this article page. To be blunt, Passover always falls after the 7th Day Sabbath on the 14th Day of the first month. That’s not how we planned it. It just happened to line up that way, and it puzzled me at first, because it conflicted with everything I had understood before seriously and prayerfully tackling the subject of Yah’s calendar. But after seeing its placement and looking deeper into the reason behind it, many things started to make sense, and things that used to make sense, became gaping holes. This next portion may be one of the most farfetched conclusions you experience from anything here at Kingdom Preppers, but bear with me. What I have found is that there is so much error to unlearn it is mindboggling. And I have been unlearning error for many years now. Not least is the Sabbath issue, which you can experience by watching Understanding the Sabbath or reading its companion article, which we have already referenced. Then there is the little fact of our true identity, which has been hidden and buried for many years. But this next tidbit was truly bizarre, yet incredibly interesting all the same. First, think about this (and I have to admit, I never thought about it before myself): as stated in Understanding the Sabbath, the first week of creation was a literal 7-day week, which is proven from Scripture. Day 1, what we call Sunday, was first, ending with the Sabbath on the 7th day. If you can wrap your head around that, then let’s take it a bit farther. That same Day 1 was the first day of the month! And that month, was the first month of the year, meaning it was also Day 1 of the year! So, if we do a simple count, and say that this is the month that the first pure convocations are to be held, Day 1, Gregorian Sunday, is first, and Day 7 is the Shabbat. The very next day, Day 8 of the month would be Day 1 of week 2, another Gregorian Sunday, and the next Shabbat would be Day 14 of the month, and the 7th Day of week 2. And what is Day 14 of the first month? That’s right: Passover, which falls in the evening! 31Then the people of Judah, because it was the day of preparation, so that the bodies would not remain on the stake on the Sabbath (for that Sabbath was a high day), asked Pilate that their legs might be broken, and that they might be taken away. Matthew 28:1; Mark 16:1-2; Luke 24:1, and John 20:1 all recount the events of an early morning visit to the tomb, but there is something interesting in the original wording of all four verses that prove extremely revealing. While all these passages pretty much say the same thing, the clearest picture is painted in Matthew’s account. But getting back to Matthew 28:1, I’ll break it down word for word from the Greek text and its transliteration, with the associated meanings and Strong’s numbers listed as well, so they could be looked up in the Blue Letter Bible, which we also link to from the FAQ page. 66And they went and made the grave secure, and along with the guard they set a seal on the stone. 4So Moses told the people to celebrate the Passover 5in the wilderness of Sinai as twilight fell on the fourteenth day of the month. And they celebrated the festival there, just as Yah had commanded Moses. 9This was Yah’s reply to Moses. 10“Give the following instructions to the people of Israel: If any of the people now or in future generations are ceremonially unclean at Passover time because of touching a dead body, or if they are on a journey and cannot be present at the ceremony, they may still celebrate Yah’s Passover. 11They must offer the Passover sacrifice one month later, at twilight on the fourteenth day of the second month. On the preparation day that Yahushua was killed, with the Passover looming the next day, and seven days of Unleavened Bread directly following, those who visited the tomb could not risk coming into contact with a dead body and therefore defile themselves for the duration of the feast, which had yet to commence! Secondly, Wave Sheaf, as we covered in the enhanced scripture study video, The Pure Convocations, falls on the 1st Day of the Week (Sunday) directly following the 7th and final day of Unleavened Bread. This came a little over a week following the events of the preparation day staking of Yahushua. If he ascended the Sunday directly following the preparation day of that week, that would not have been the day of Wave Sheaf. Because the Passover falls at the end of a 7th Day Sabbath, the people of Israel had to prepare for it an entire day earlier, on Day 13 of the month, or the 6th Day of the week. I realize that all of this might be difficult to grasp, or even accept, but I’m sharing these things in the hope that it will enlighten you and sharpen your understanding of the calendar of Yah. Yahushua and the 12 ate passover on passover evening, Day 7. He was crucified the day after which was a high holy day, Day 1 of the feast of unleavened bread. It was a day of food preparation only, no other work could be done. That is why the Jews were not at his crucifixion, they were preparing the morning of the feast. Please let me know if I am wrong about this brother. I agree with everything else you presented. Shalom. Actually, John 13:1 and 2 says that even though it was evening it was BEFORE the Passover. So they did not have their meal on Passover. This is clear from a careful verse comparison. The confusion comes in from translated verses like Matt 26:17 which seems to say that it WAS Passover when the disciples came to him, but in fact the original Greek throws an important missing word in the text. That word is word G4334, prosēlthon, which means drew near. In other words, the first day of Unleavened Bread, or Passover in this case, drew near. But they observed it BEFORE it arrived. It all ties together perfectly. They had to have the feast before the feast came because he knew what would happen just before it kicked off. In verse 1 of Matthew 26 Yeshua tells them that the feast was coming in two days, and he would be killed. Not that he would be killed in two days, but his death would coincide with the coming feast. Same chapter, few verses down, verse 14, we see Judas heading to the chief priests to seal Yeshua's fate. Then in verse 17, which is probably the same timeframe, but perhaps a day advanced, it says that the first day of Unleavened drew near. I believe he was captured Thursday, endured a trial that went well into the night and by Friday he was on the tree. This also did not occur in one day as many believe. On top on that, what did the priests say two days prior to the festival? Verse 3 of Matt. 26 says they assembled in the palace of the high priest. And they conspired to arrest and kill him, but verse 5 tells us: "But they said, 'Not during the feast, lest there be an uproar among the people.' "
So they said it must not be during the feast, meaning all 7 days, not just Passover. The word used is G1859, heorté, which refers to a periodically recurring feast, meaning the full 7-day event, or else they would have referred to the Passover experience itself by name. So they needed to do it either before the 7 days kicked off, or after. By all appearances, it seems it took place BEFORE the 7th-day Sabbath, which ushered in the Passover, hence the language about it being the Preparation Day, that is the day before the Sabbath. And from my studies, a preparation day never referred to a feast day. The 7th-Day Shabbat being a high day shows that it is tied to another event that makes it extend beyond the usual length, in this case Passover and Unleavened Bread. It is very important to look at these verses from the ancient language when possible, because confusion was brought in by mistranslations. Thank you brother. Another verse hit me like a ton of bricks that made me rethink everthing. Look at Luke 24:21. It's the first day, Sunday when she says it's been 3 days since Yeshua's death. No need to respond. I've troubled you enough already. Shalom. Until recently, if you popped the word tritēn into Google Translate in its Greek form, τρίτην, you'd find that it returned the sense "third aspect." But Google has since changed their algorithm and it now returns "third." But "third aspect" coincides perfectly with some of the main senses given in Thayer's Lexicon, such as: the third part, the third time, and most importantly, in the third place, and thirdly. What is all this saying? Well, remember that during the conversion with Yeshua, who they didn't know was Yeshua at the time, verse 18 tells us: “Then one of them, Cleopas, replied, 'You must be the only person in Jerusalem who hasn’t heard about all the things that have happened there the last few days.' " Cleopas used the term all the things. To which, in verse 19, Yeshua asked. “What things?” Then in the rest of verse 19 through 21 the person speaking starts to rattle off those things, and when he comes to the third one he says, and the "third aspect" or "thirdly." For example. "We had hoped that he was the Messiah who had come to rescue Israel. And moreover, in the third place, it has been days since these things happened." That's all it's saying. Not that it was the third day since these things happened. Hope this helps. I may add this little exchange between us to the article page as a bonus topic, as it may be of great help to others. Shalom, achoti. Thank you fore the break down and yes that is a good idea. I will continue to study it to pull it all together. Thank you for your time brother. Shalom. But regarding all the Greek text above, please note that I am no expert in ancient languages and this is merely what I surmise the text to say based on personal research. Do your own Spirit-led research to come to your own conclusions. Happy Sabbath my brother. Once again you have shaken my foundation with your lesson on The Death and Resurrection of the Messiah. I ask myself what do I really know as I humble myself under Yah's teachings. Thank you once again for the Word's inspired teaching. One thing: the article seems unfinished but it has inspired me to dig deeper into the Word. Yah's blessing be with you and your household in all that you seek to do to wake up Israel.